Mash garlic and salt in a bowl into a paste. Whisk in mayonnaise, lemon juice, and olive oil. Add salt and pepper to taste. · 1/2 cup of pimento stuffed Spanish olives cut in half. Place a saucepan on medium-high heat and ad the olive oil. Add the beef and brown, stirring occasionally, then add the cumin, onion, bell pepper, garlic, and season with salt and pepper. Cook for about 10 minutes. Add the tomato sauce, olives, and raisins. Reduce the heat to low, cover, and cook for about 30 minutes. Add salt to a pot of cold water and boil the potatoes until they are soft. Drain the potatoes, mash them, and then set them aside to allow them to cool. Beat the eggs in a bowl. Dip the potato ball in the egg mixture then roll ball around in cracker meal until it is coated. 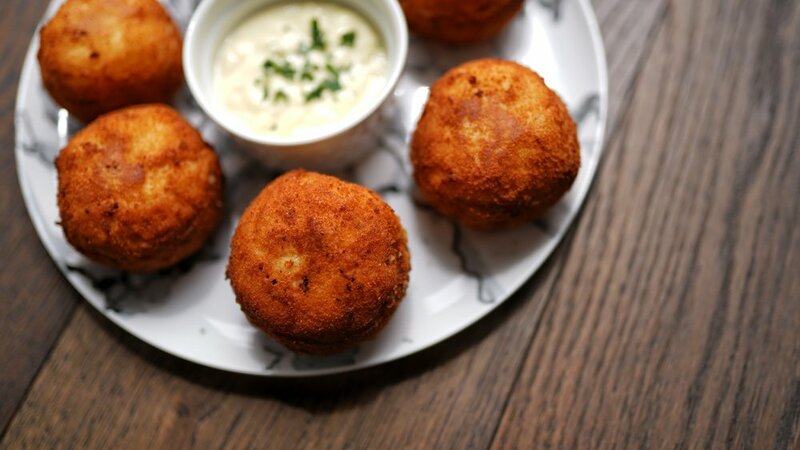 Refrigerate the potato balls for at least 2 hours before frying. 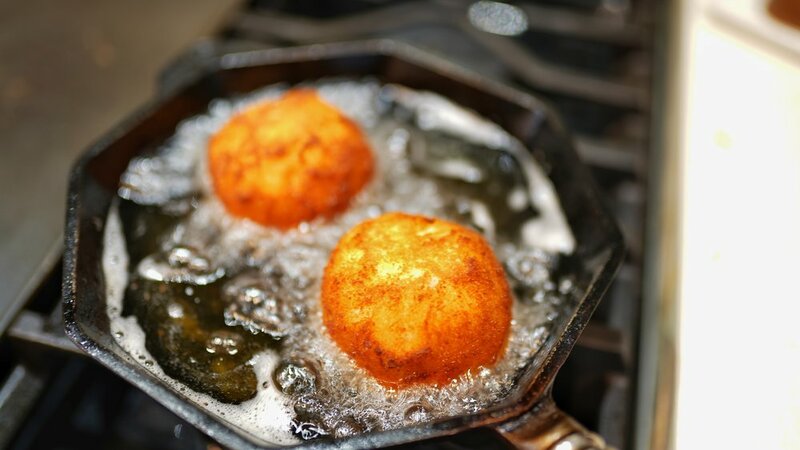 To fry, pour enough oil into a frying pan to reach the mid level of a potato ball if it was in the pan. The oil should be at least 375 degrees. Place several balls into the frying and cook each side until golden brown, usually 2-3 minutes, taking care not to overcook. Place the potatoes on a plate with paper towel to absorb access oil.